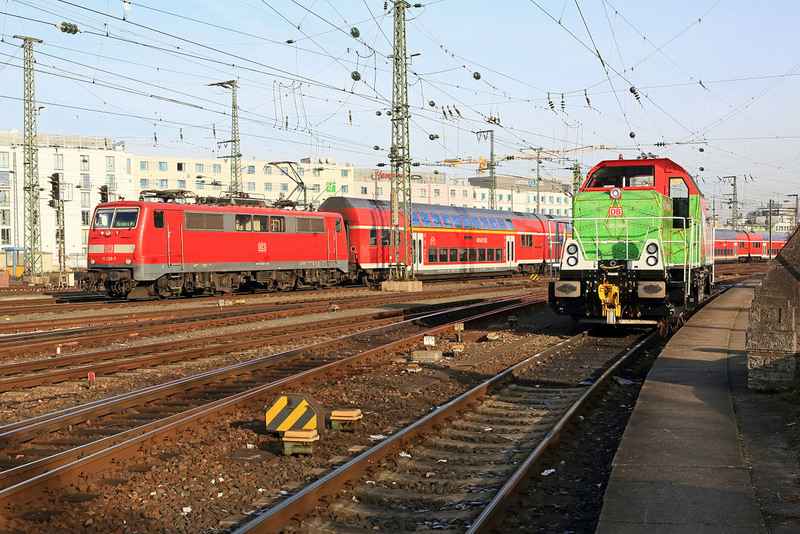 As of now, DB Regio Franken relies on climate-friendly hybrid locomotives, when maneuvering passenger trains at the railway stations of Nürnberg and Würzburg. Since the beginning of November, five Alstom H3 hybrid shunting locomotives (diesel+battery) are in use at the stations mentioned. On 30.11.2016, the machines were presented officially. 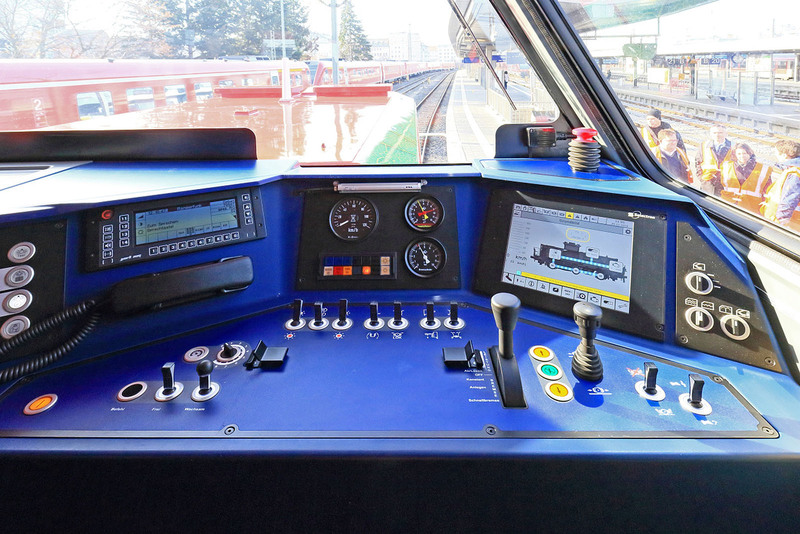 The locomotives are being operated in inner-city areas, in train stations and workshops, with reduced emissions and considerbale noise reduction compared to conventional diesel shunters. “This is good for the environment, good for the people in the Franken area and good for Deutsche Bahn,” says Andreas Gehlhaar, environmental manager at Deutsche Bahn. 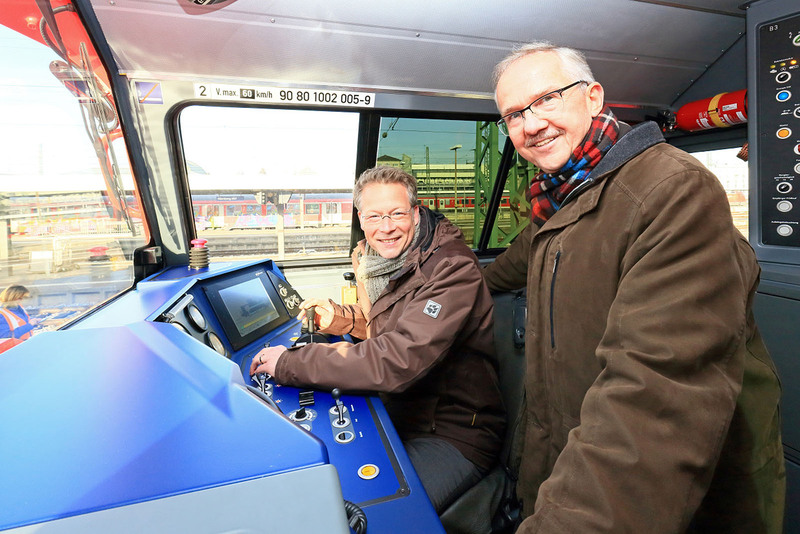 “Our new hybrid locomotives benefit travelers, locals, and the environment alike, reducing emissions by 70 percent, consuming about 50 percent less diesel fuel compared to the shunting locomotives they are replacing, saving only 400 tons of CO₂ per year”, explains Hilmar Laug, Director of Production at DB Regio Franken in Nürnberg. With 700 kW, the newly developed locomotives of Alstom bring a lot of power to the rail and reach a top speed of 100 km kilometers. Between 50 and 75 percent of their operating time, the locomotive runs in pure battery operation. The batteries are charged via a small diesel generator with a generator. Only when the battery voltage is no longer sufficient to move the vehicles, the diesel generator automatically powers up to recharge the batteries or to provide more power to the drives. The use of the locomotives is carried out within the scope of a subsidized project of Freistaat Bayern called “Energiewende Bayern”. The 10 million euro project at DB Regio Franken is sponsored by Freistaat Bayern with € 675,000 and DB AG with around € 1.7 million. The “H3-Hybrid” project is an initiative of the Eco Rail Innovation (ERI). Currently, this platform is being supported by 19 companies. The aim of the project is to demonstrate the feasibility of a hybrid shunting locomotive in daily use.